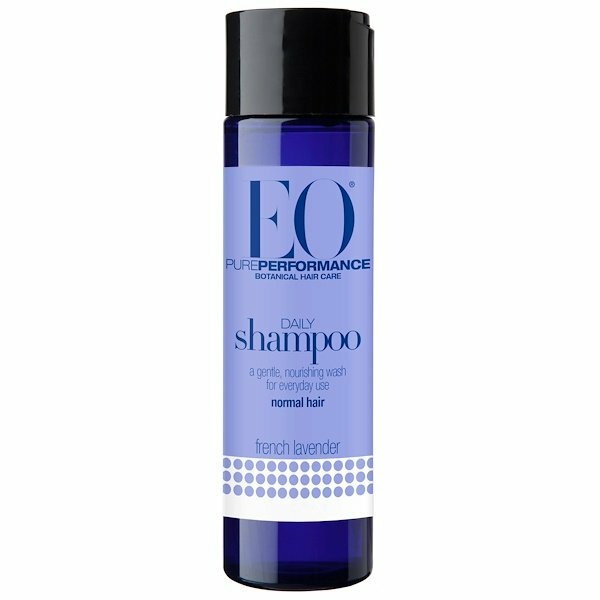 A gentle wash for daily use in normal hair. Our rich Nourishing Complex revitalizes with papaya and evening primrose extracts and leaves hair fresh, shiny and smooth. Massage into wet hair, rinse with warm water and follow with EO French Lavender Conditioner. Breathe deeply throughout. 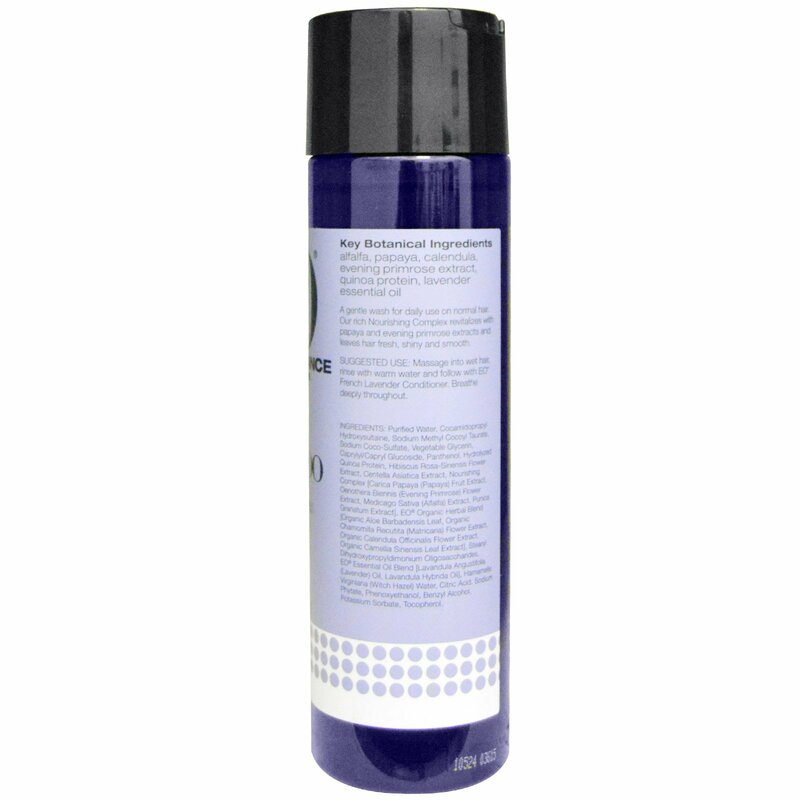 Purified water, cocamidopropyl hydroxysultaine, sodium methyl cocoyl taurate, sodium coco-sulfate, vegetable glycerin, caprylyl/capryl glucoside, panthenol, hydrolyzed quinoa protein, hibiscus rosa-sinensis flower extract, centella asiatica extract, nourishing complex [carica papaya (papaya) fruit extract, oenothera biennis (evening primrose) flower extract, medicago sativa (alfalfa) extract, punica granatum extract], EO organic herbal blend [organic aloe barbadensis leaf, organic chamomilla recutita (matricaria) flower extract, organic calendula officinalis flower extract, and organic camellia sinensis leaf extract], stearyl dihydroxypropyldimonium oligosaccharides, EO essential oil blend [lavandula angustifolia (lavender) oil, lavandula hybrida oil], hamamelis virginiana (witch hazel) water, citric acid, sodium phytate, phenoxyethanol, benzyl alcohol, potassium sorbate, tocopherol. 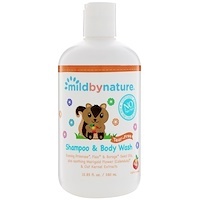 Key Botanical Ingredients: Alfalfa, papaya, calendula, evening primrose extract, quinoa protein, lavender essential oil.